The project comes from a team of students at the St. Petersburg University of Russian Academy of Sciences in collaboration with Parallels, a company well-known for its cloud computing and virtualization products. We reached out to Parallels, and they were happy to confirm the video's legitimacy. I can assure you that this video states total truth. Indeed, Parallels has strong connection to the project evolvement. The technology’s been researched by group of students in Parallels Lab (it is our own educational laboratories in leading Russian Universities) at St. Petersburg University of Russian Academy of Sciences. To be specific, it is an experimental student project supervised by Parallels pros. The technology allows running multiple Android isolated environments on single Android device - effective and scalable with low overhead on virtualization. Yet it is still a technology with plans for further product development. As you can see, development is still in the early stages, meaning this might not be available as a product for quite a while. And when it does become a product, locked bootloaders and a wide variety of driver-related issues will probably make manual installation impractical for average users and expensive for the company to support. 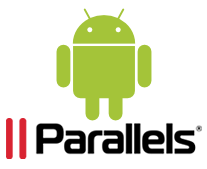 More likely, Parallels will license the software to OEMs like Samsung and HTC and bundle it with devices, or include it as part of a firmware update. Despite a few potential hurdles to get over, this advancement really is something to be excited about. The potential for virtualization in the mobile space is amazing, and may ultimately lead to the next revolution in how we use our devices.